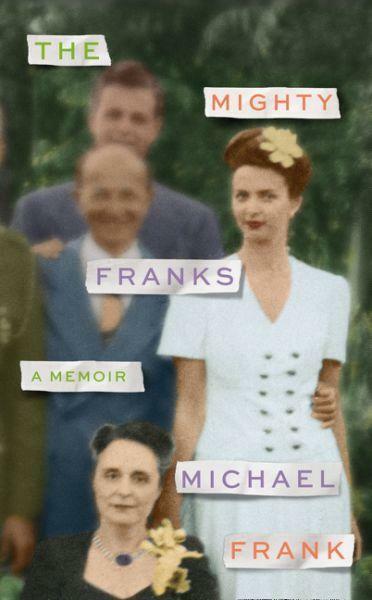 Michael Frank grew up in Laurel Canyon, between his parents and the aunt and uncle who lived down the road, wildly successful screenwriter pair Harriet (his father’s sister) and Irving (his mother’s brother). Nearby, lived his grandmothers (his father’s and his mother’s mothers), together in one small flat, ruled over by the imperious Harriet senior (a Hollywood veteran close to Katharine Hepburn) and her antique furniture. Frank idolised his childless aunt and uncle, who liked to think of him as their own, and meticulously tutored him in taste and thought. As he grew up and developed his own personality, his aunt grew tart – intermittently distant and clingy – and he began to see her distinctly. In this extraordinary, emotionally articulate account, Frank demonstrates how his aunt’s love fermented into emotional abuse and gaslighting. ‘It was like being caught in a kind of hall of mirrors, to have my experience recast and my language distorted like this.’ He also shows how her literary encouragement, her intricate stories, and the ‘decoding through investigation, through forensics’ that her contradictions prompted, shaped him as a writer. This is a loving, complex, if also critical, portrait. It will appeal to readers of dysfunctional family memoirs (like Running with Scissors) and family memoirs of perception and truth (like Nadja Spiegelman’s I’m Supposed to Protect You From All This).